Good radio seems to be rare here in the 21st century, but there are those moments of greatness that need to be pointed out. 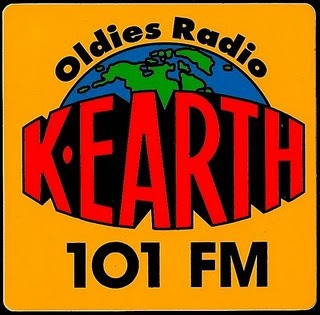 From March, 2002, we bring you this excerpt from the Frazier Smith morning show on K-Earth 101. Now, this demonstrates, more than anything, that the team is perhaps more important than the individual. This is true now, more than ever. Especially where morning shows are concerned. Everyone pitches in to create a fun atmosphere in the halls of K-Earth 101. And while you enjoy this team effort, you’ll really love the part where Ozzy Ozbourne calls in at about the 10 minute mark. You know Ozzy.. he’s out there. And in this funny bit, as Frazier Smith is congratulating the OZZ man on his then-new TV show, Ozzy is so far gone you can barely understand him. And he’s HILARIOUS! Then, towards the end of this, you’ll hear a major gaffe, as Smith goes into a stop set and says, “Pure Rock, KNAC”! And nobody calls him on it! This one IS good. Listen for an entertainment update by Ryan Seacrest, from before he became TV famous. It’s no wonder they were replaced…this is not good…slow…boring…NOT Enticing at all, for MAJOR Market Morning Drive ! Sorry ! Frazer took L.A. by storm on KROQ in 1977 and 1978…he became so huge that he was plucked out of nights to do morning drive on KLOS (1979-1984). The man’s a maniac, a genius and was perfect for the too-hip vibe of L.A. in the late 70s and early 80s. The KNAC reference isn’t a gaffe, it’s a joke. KNAC was the ultimate cult heavy metal station and had been off the air for 7 years at the time of this aircheck. Could the Frazier Smith appearance have been a one-off april Fools Day show? Its actually Mark Stienes formally of ET fame not Seacrest.